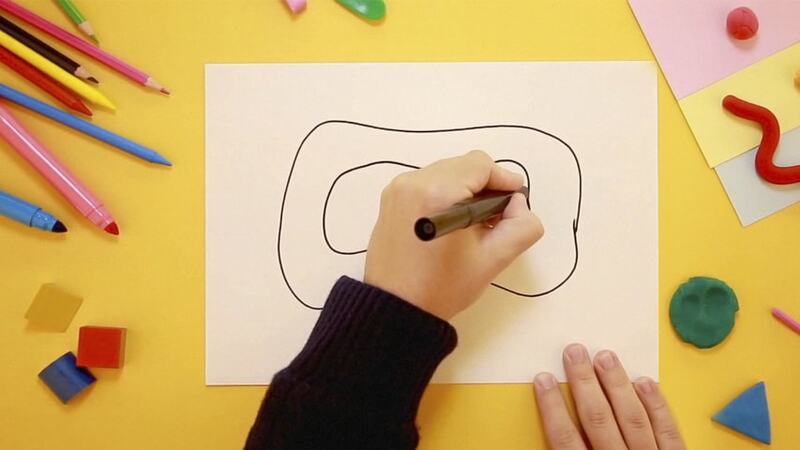 A 6-year-old sits down and draws a racetrack with crayons. Her dad captures an image of the project, and minutes later the two of them are racing cars with their fingertips on a tablet screen. Playsketch, a Portuguese startup company, offers its consumers the ability to sketch an idea and bring it to life as a playable video game. Co-founders Luís Lucas Pereira and Pedro Machado Santa recently visited Pittsburgh to take their concept to market using contacts and entrepreneurial lessons learned from Carnegie Mellon University. "The growth in our contact network really gave sense to the word 'acceleration,'" Santa said. "In just one month and a half, we established more than a thousand contacts with different companies and experts, and we gathered a contact network in the U.S. that it would take years to build up in Portugal." inRes is an early stage acceleration program for Portuguese entrepreneurial teams. The program is part of the Information and Communication Technologies Institute, a partnership between Carnegie Mellon and the government of Portugal. "The inRes program is a testament to CMU|Portugal's commitment to technology transfer and innovation, and an invaluable expression of Carnegie Mellon's broader dedication to international collaboration," said Jose F. Moura, Director of the CMU|Portugal Program. "inRes is one very exceptional example of CMU|Portugal programs that have precipitated many successful spinoffs, such as Veniam and Feedzai." Feedzai, a highly successful company stemming from the CMU|Portugal program, uses machine learning for fraud prevention. Paulo Marques, CTO of Feedzai, presented to the 2014 inRes teams on the CMU|Portugal Program's importance in the U.S. startup market. "I am excited to see how this year's group of entrepreneurs and all future teams chosen to participate in the inRes program will succeed in the tech innovation market," said Marques. "inRes and CMU|Portugal as a whole are proving to be an important pillar in the startup ecosystem of Portugal and the United States." Along with Playsketch's concepts, the other teams are offering smart prosthetic-fitting solutions, generating 3-D scenes on a massive scale and providing project management services. Each of the four teams was paired with experts who are part of CMU's entrepreneurial ecosystem, which includes the Center for Innovation and Entrepreneurship (CIE), CIE's innovation incubator Project Olympus and the Center for Technology Transfer and Enterprise Creation. Now in its second year of international field travel, the inRes program continues to evolve. The most recent group of participants visited Pittsburgh for six weeks last fall and also spent a week in Silicon Valley visiting startups and venture capitalists, while making connections with other innovators. In addition to scheduled events, the teams went above and beyond to make their American experience fruitful. For example, Playsketch hosted a booth at Pittsburgh's inaugural Maker Faire, and Sceelix, a company that creates 3-D scene building software for video game developers and urban planners, hosted workshops demonstrating their technology to students of Human-Computer Interaction and the Entertainment and Technology Center. "These teams really came prepared to work, and work they did," said Project Olympus Director and CIE Enrepreneur-in-Residence Kit Needham. "They took advantage of everything." Santa was not the only entrepreneur who returned home with vastly expanded contact lists—all of the entrepreneurs made contacts that will be enormously valuable to their companies. "CMU|Portugal's inRes program gave us the huge opportunity to go into a country that has every single market we are trying to tap into on a huge scale," said Francisco Rebello de Andrade, general manager of Sceelix. "What we managed to do in terms of contacts will help us not only in the short term, but also in the long term." Each of the teams involved in the 2015 inRes accelerator program have gone back to Portugal having gained a new outlook on entrepreneurship and innovation. "The real goal of the inRes program is to create valuable companies that are serving a specific segment of customers and improving their lives and conditions," said Dave Mawhinney, co-director of the Center for Innovation and Entrepreneurship. "That's the heart of entrepreneurship in general, no matter where you are."